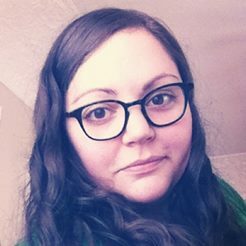 Winter is here and baby, it’s cold outside! 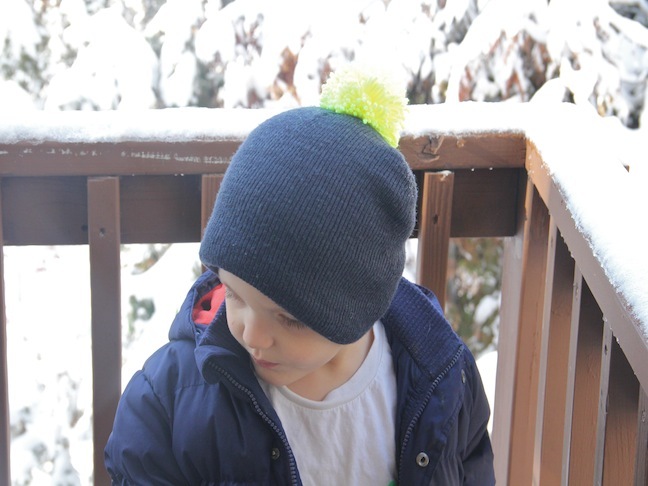 If you have some plain and boring beanies lying around the house, you can make all new fun, DIY pom beanies for your little ones to enjoy. They’ll be staying warm in style! 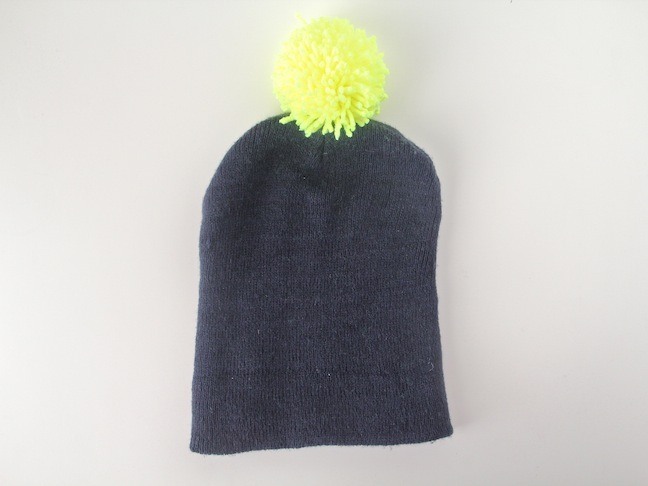 Here’s how to add a fun and colorful pom to your beanies. 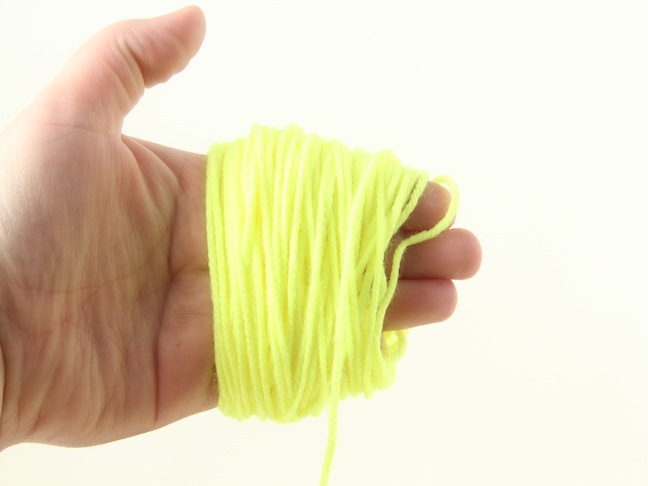 Step 1: Grab your yarn and wrap it around your fingers. The more fingers, the bigger the pom! 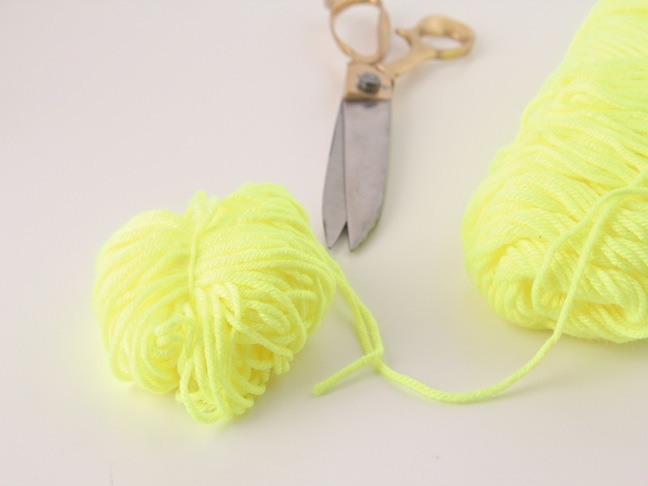 Step 2: Scoot your yarn off of your fingers and tie a length of yarn around the bunch tightly. Make sure it’s tied right in the center. 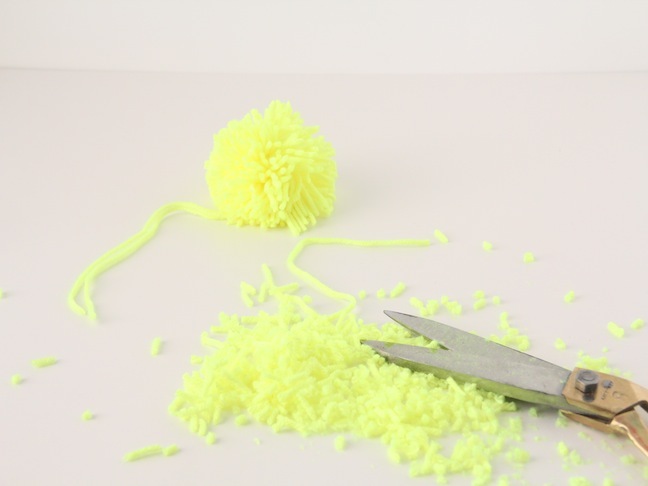 Step 3: Now it’s time to give your pom a hair cut! Trim it as long or as short as you like. 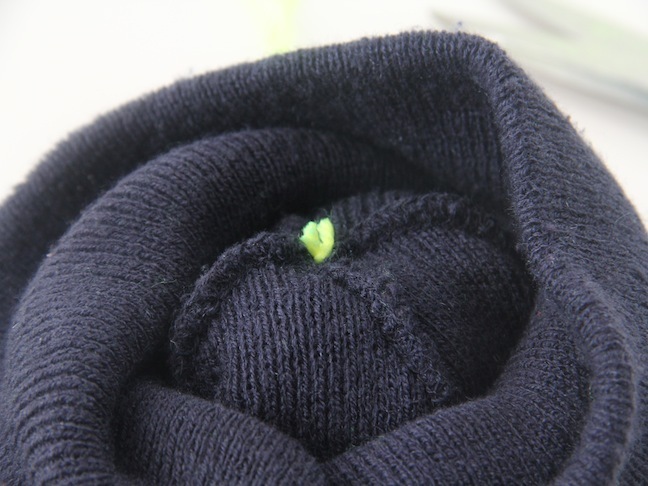 Make sure to leave the yarn tied around the bunch long. Don’t trim it! 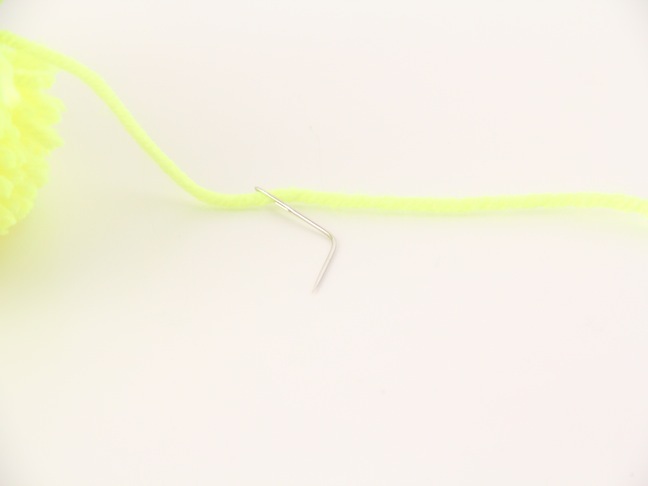 Step 4: Thread the long yarn strands from the tied portion through a needle. The bigger the eye of the needle the easier the yarn will go through. 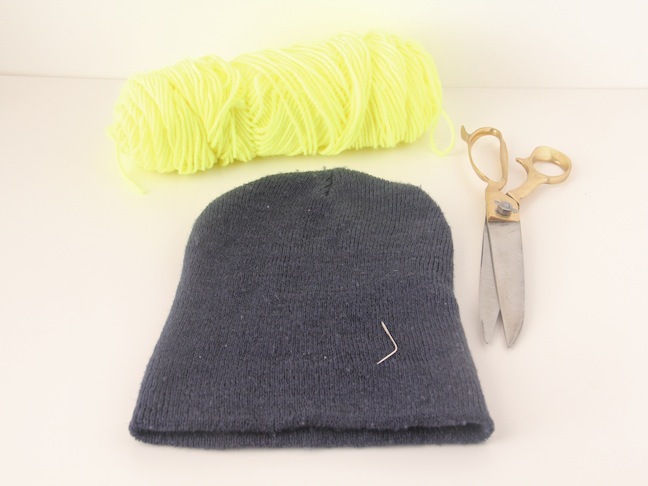 Step 5: Thread the yarn through the top of the beanie with both ends of the yarn and tie it tight. Double knots are best!